#ad If you know a Fortnite fan they will love this! 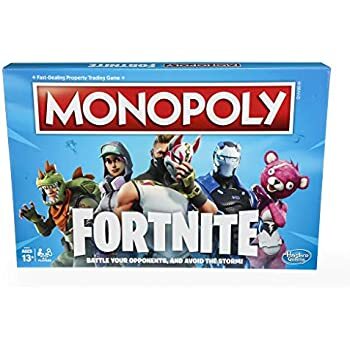 The Monopoly Fortnite edition board game for $12.64 at Amazon.com. Inspired by the video game, this game comes with 27 Fortnite outfits with pawn stands, and players can choose to play as their favorite character. Shipping is FREE.